I'm sure you haven't noticed, but I sure did! Today is my first post in over a week! Wow! That isn't like me. I have been so busy this last week stamping with friends here in Kansas and I have completely neglected my blog! So I am back today with a guest post for the lovely Nina and Waffleflower! 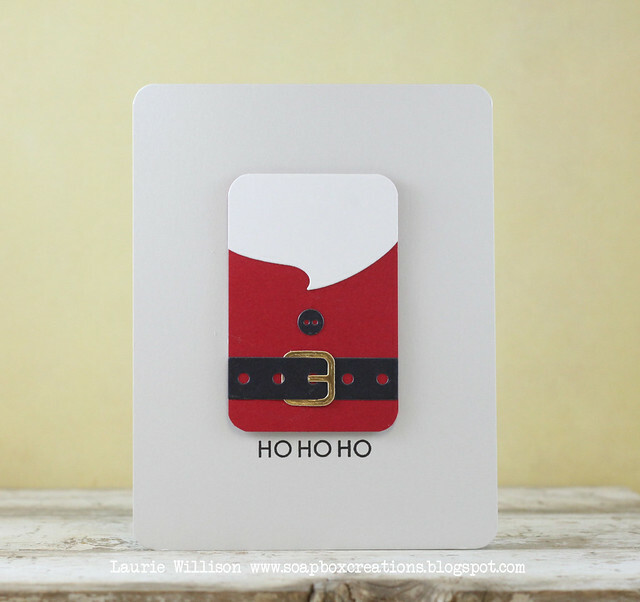 This first card features her new die called Santa Tag Die. My dad has played Santa every year for the past 30 or so years, so I love all things Santa. When I saw this tag, it totally made me smile! I cut the pieces all to fit the belt and beard and then layered them together. I used my corner round to finish off the edges. I cut the buckle out of gold card stock for some shine and then added in the Ho Ho Ho from the set called A Homemade Christmas Set. I made another CAS card using A Homemade Christmas set. 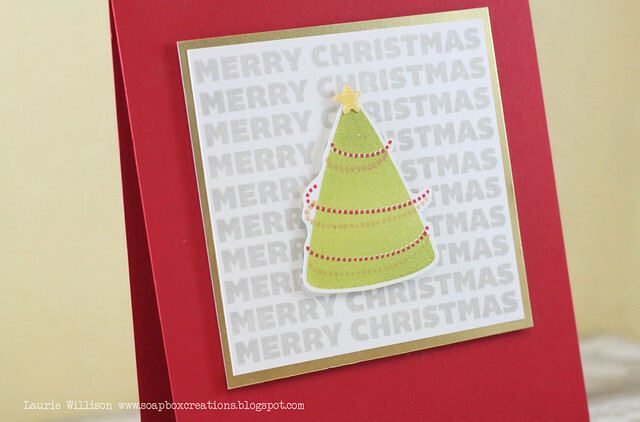 I stamped the Merry Christmas in Fresh Ink Provincial Gray and then matted it with some gold card stock. 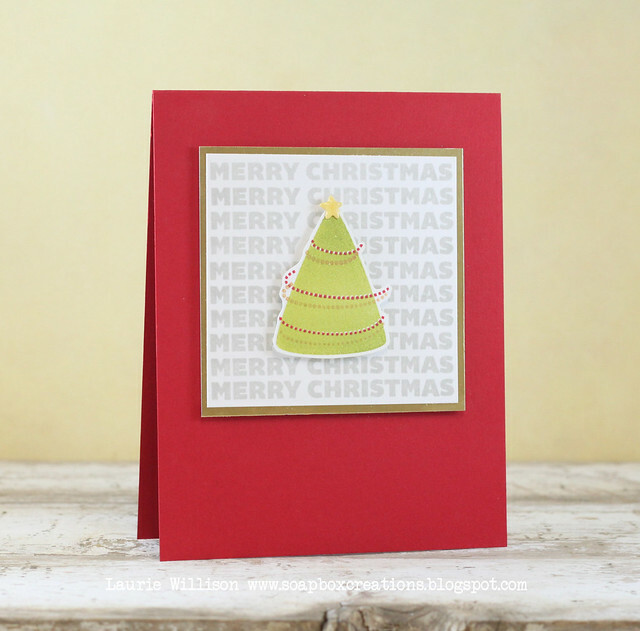 I stamped this adorable little tree and then used red and gold ink to decorate the tree with the garland stamp. 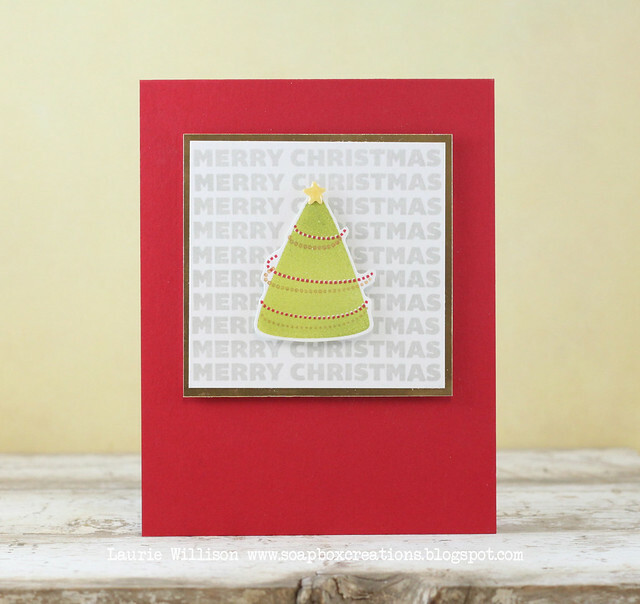 I added in a tiny yellow heart to the top of the tree using the Tiny Star Die. I added in some Glossy Accents to finish it off! Hope you are having a great week! Thanks for coming by today! Laurie, such a cute card. Oh, these are so sweet! I especially love the first one -- what a clever die! Two adorable cards...but oh the santa card is SO cute. Love that your dad plays santa! Both are great but the first one makes my heart sing! LOVE!!! Both of your cards are ADORABLE, but that Santa one is just the cutest thing!! Love it! I've enjoyed seeing all the pictures on Facebook from your weekend! Oh it looked soooooo fun!! I wish I could have made it! A super cute pair of cards! who you callin' a ho?! Well I for one have certainly noticed, and I missed you! Darling die - wow I love that card! And the shadow effect on the garland? You are amazing! How does one go about getting an invitation to a crafty girls weekend... I cook, remember that! 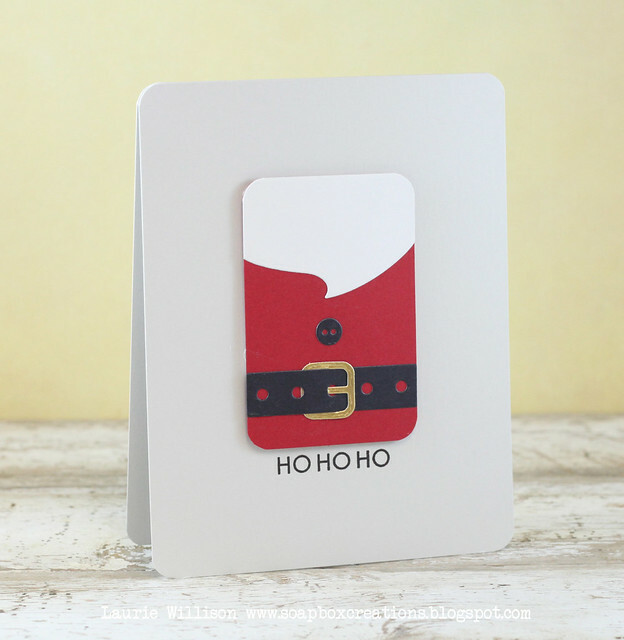 I just love how you used the Santa Tag Die set Laurie. 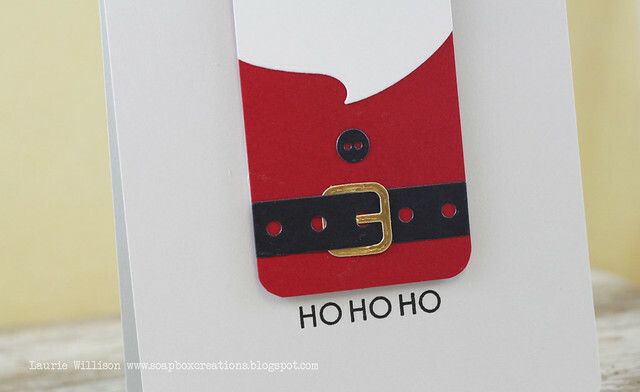 I hadn't noticed the tag until now - how sweet and fun it is to have Tag-Santa on this simple card! !